This paper provides some details about the emerging HEVC video compression standard. 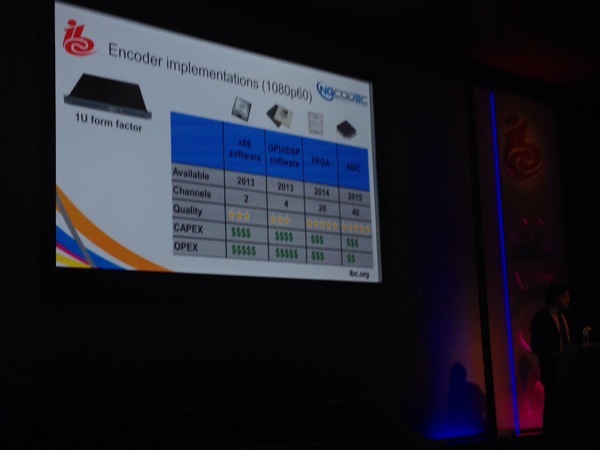 It describes the implementation challenges associated with the design of a UHDTV HEVC encoder that is capable of delivering very high compression efficiency compared with previously available encoders based on H.264/AVC. HEVC also caters for a new range of applications. It does, however, contribute a very large new set of tools to codec designers, that lead to new challenges and the need to develop new algorithms and ways to implement them in real-time. This paper will introduce the basis of the HEVC standard and compare it with previous-generation standards, focusing on the fundamental elements that lead to the compression efficiency gain and better performance. This paper also describes multiple implementation trade-offs used in the design and methods for overcoming the challenges of developing a high compression efficiency product. Click here to download the IBC slides.